Renault India Private Limited (RIPL), a subsidiary of French multinational auto major Renault S.A., introduced an automatic variant of its Scala mid sized sedan in the domestic market in January 2013. In order to capitalise on the current high demand for automatic cars observed among Indian car buyers, the company launched the Scala CVT model equipped with the acclaimed X-Tronic gearbox. 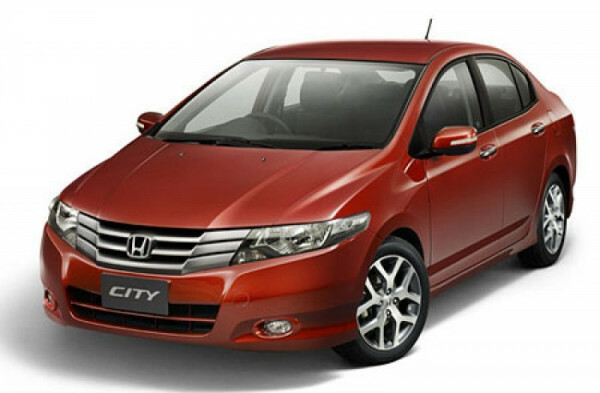 At present, the Honda City contributes to bulk of the sales recorded in mid sized sedans trimmed with automatic transmission in the domestic passenger car market. Accordingly, the Scala CVT and City AT represent an exciting budding competition in the country. The Renault Scala automatic trim comes equipped with much fawned upon X-tronic Continuously Variable Transmission (CVT) system and is offered in two petrol models- RXL and RXZ. The Scala CVT incorporates a 1.5 litre, 1498 cc, XH2 petrol engine under its hood that also powers its manual sibling. The engine assembly churns out a peak power output close to 100 bhp, along with a highest torque delivery of 134 Nm. The company claims that its automatic Scala CVT cranks out a best-in-class mileage and engine performance. The fuel efficiency of Scala CVT is rated at an impressive 17.97 kmpl. Best automatic mid sized sedan: Scala CVT or City AT. On the other hand, Honda City mid sized model is powered with a 1497 cc, 1.5 litre i-VTEC SOHC engine that produces a peak power and torque outputs of 116.38 bhp at 6600 rpm and 146 Nm torque at 4800 rpm, respectively. The City At delivers a decent fuel economy figures of 13 kmpl in city traffic conditions and 17 kmpl on highways. Hence, in terms of engine performance, the City AT definitely has an upper hand over the Renault Scala CVT; whereas where mileage is concerned the Renault model has an edge over Honda. At present, the Scala CVT RXL and CVT RXZ models carry price tags of Rs. 9 lakhs and Rs. 9.9 lakhs, respectively, in the Indian auto market. Further, the base City model with automatic transmission capability starts from RS. 9.15 lakhs and the top end trim come with a price tag of Rs. 10.6 lakhs. Hence, the price sensitive Indian buyers will opt for the Scala CVT, while the performance oriented will invest in the Honda City CVT. Both City and Scala mid sized sedans compete against Hyundai Verna Fluidic, Volkswagen Vento, Maruti Suzuki Sx4, Skoda Rapid, Ford Fiesta and Nissan Sunny models in the Indian passenger car market.